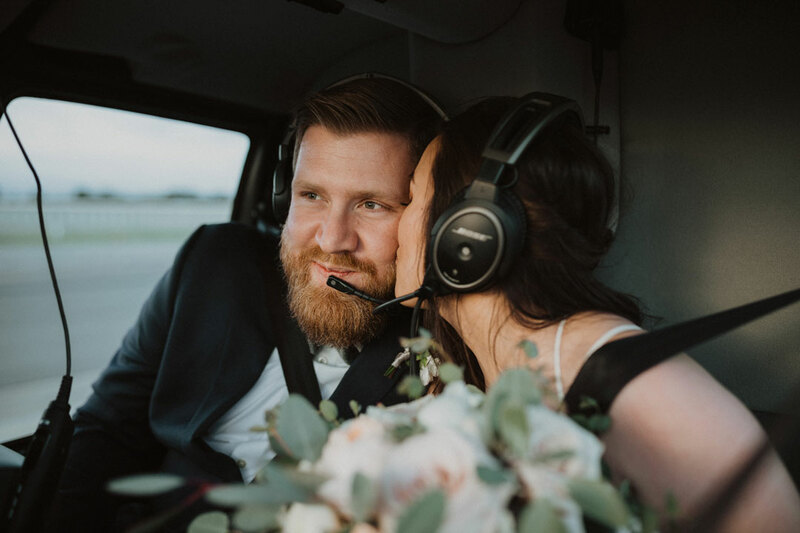 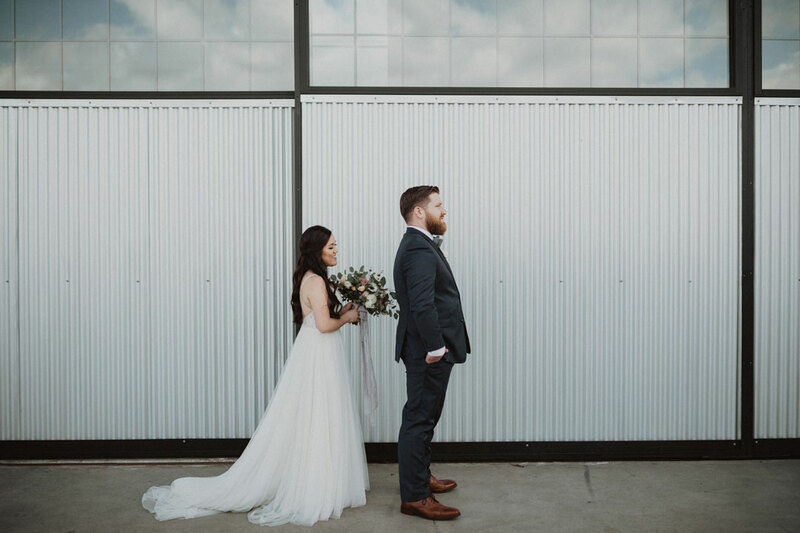 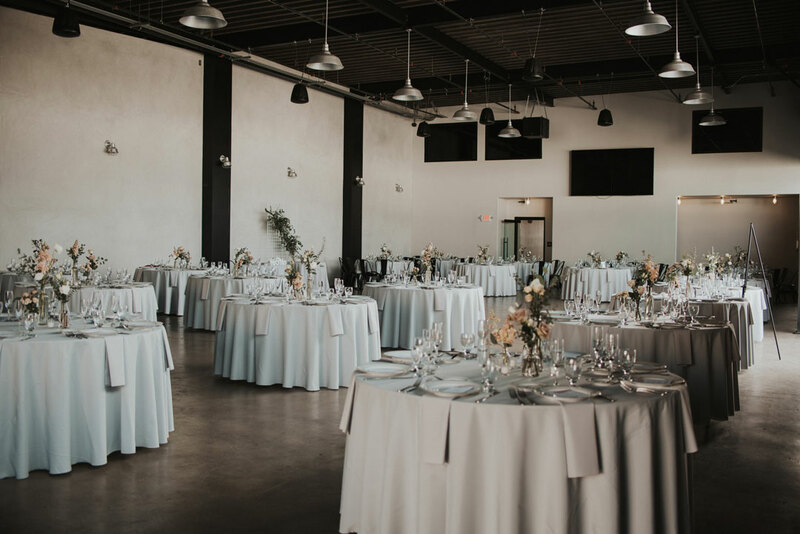 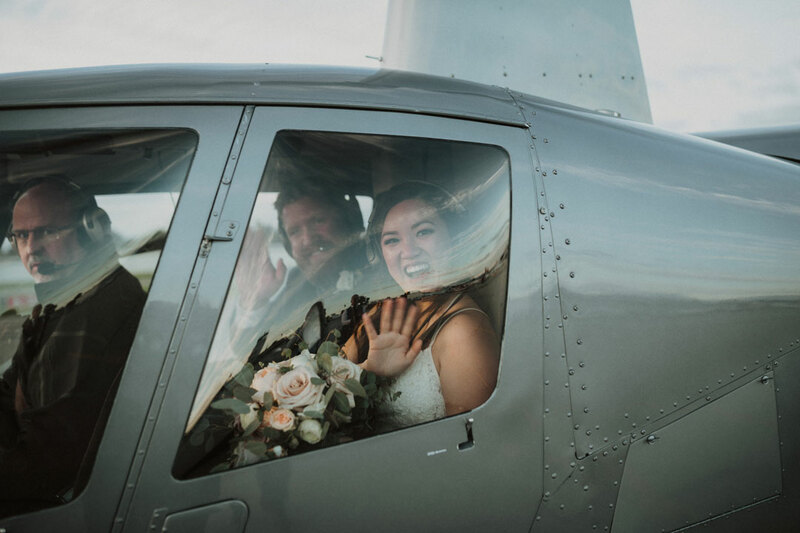 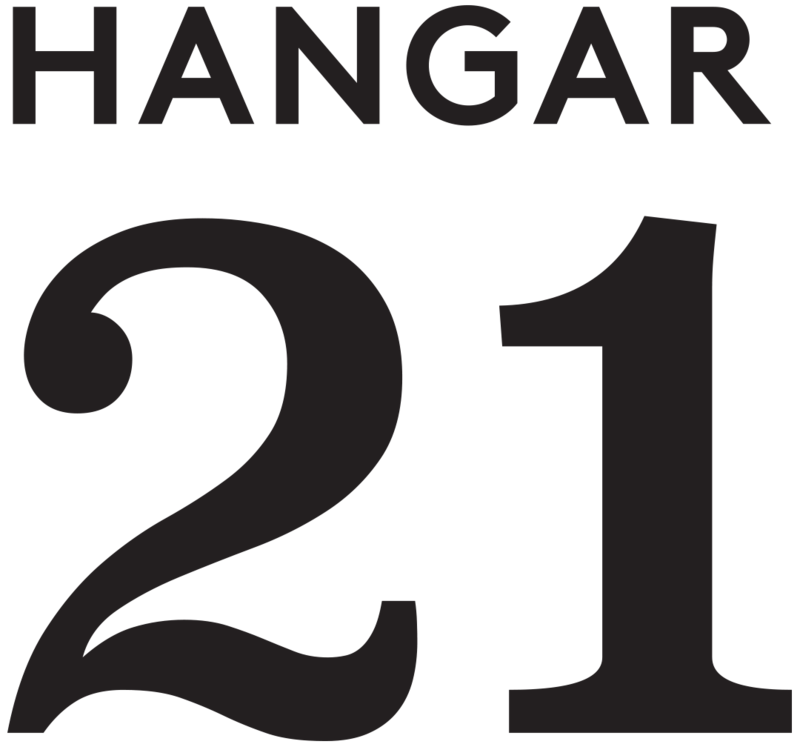 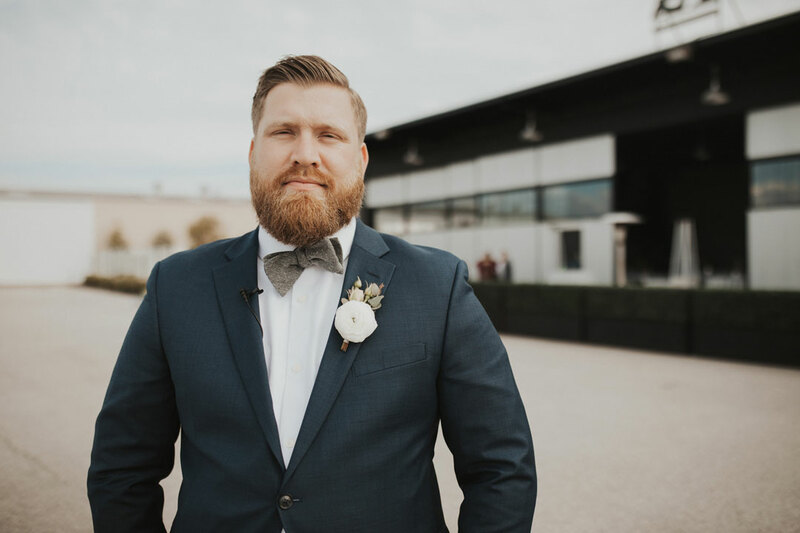 The day came for Natalie and Ryan to tie the knot at Hangar 21 South. 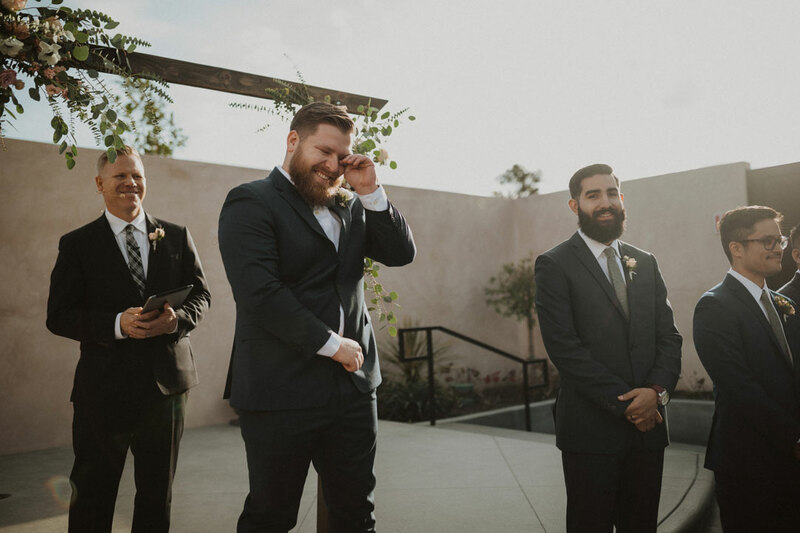 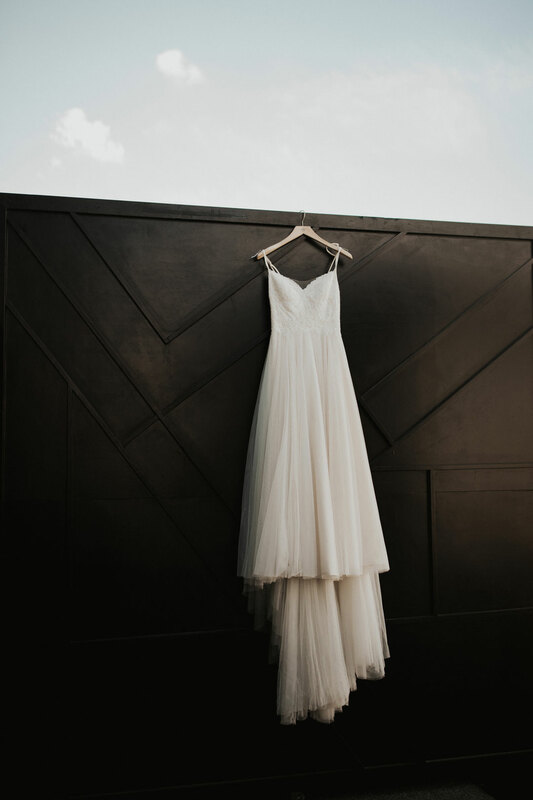 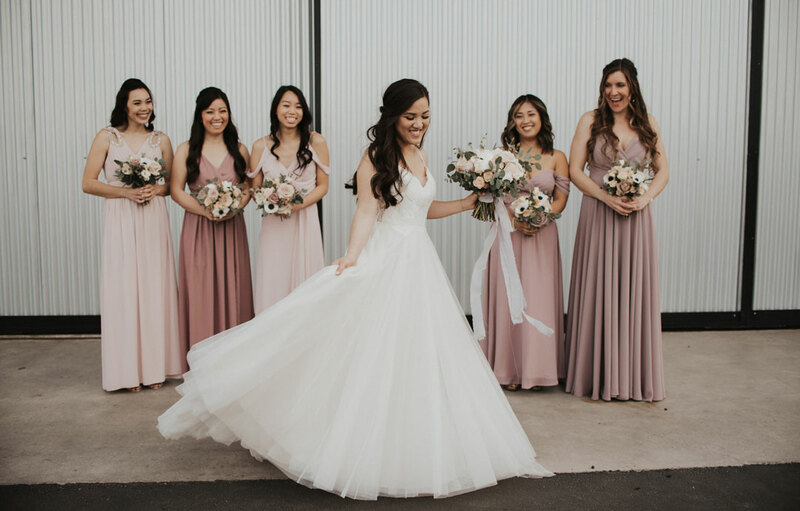 After getting ready with friends and family, the two opted for a pre-ceremony first look. 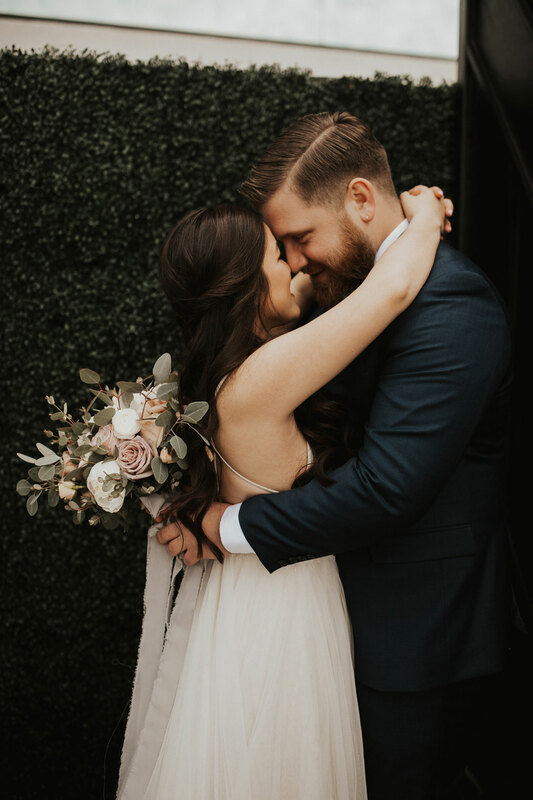 Ryan’s eyes lit up as soon as he saw his beautiful bride standing there in her gorgeous tulle and lace gown. 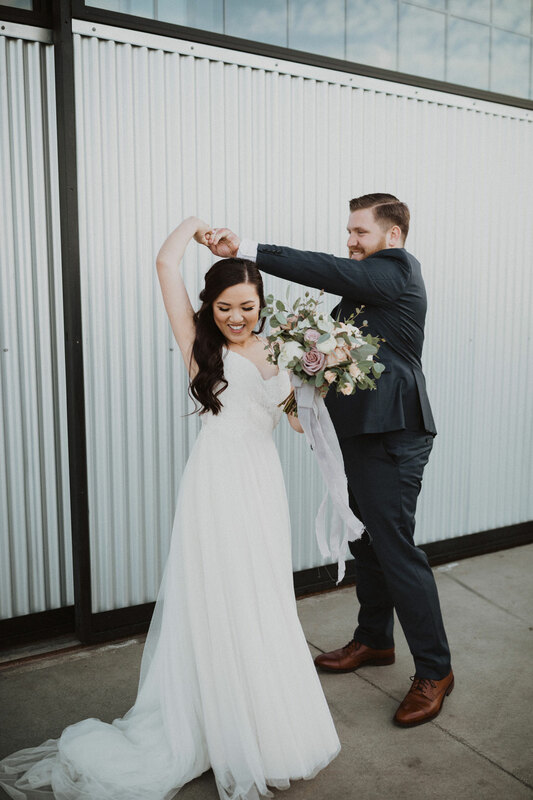 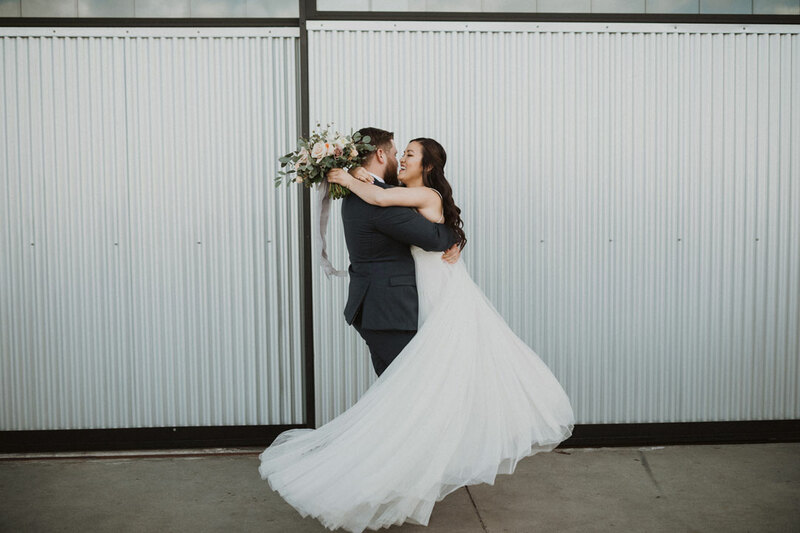 A 360 twirl was very necessary, and then Ryan swept Natalie up off her feet in a loving embrace. 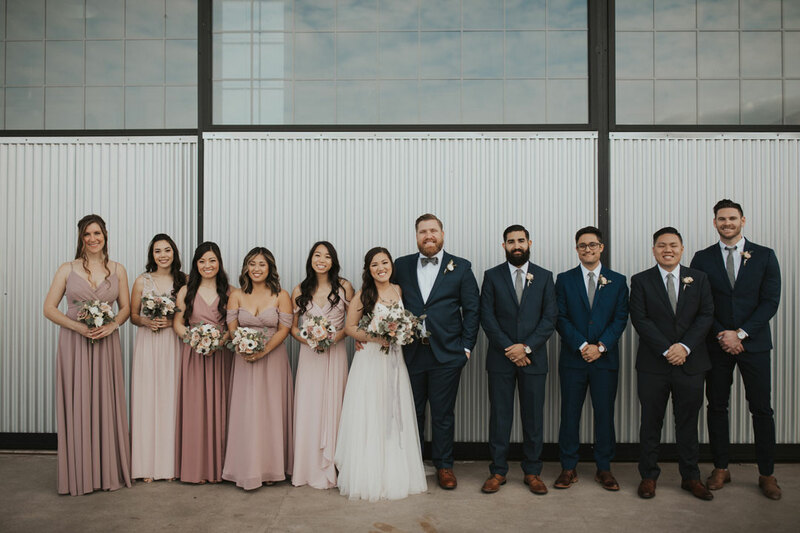 They were joined by their wedding party for more photo moments before the ceremony. 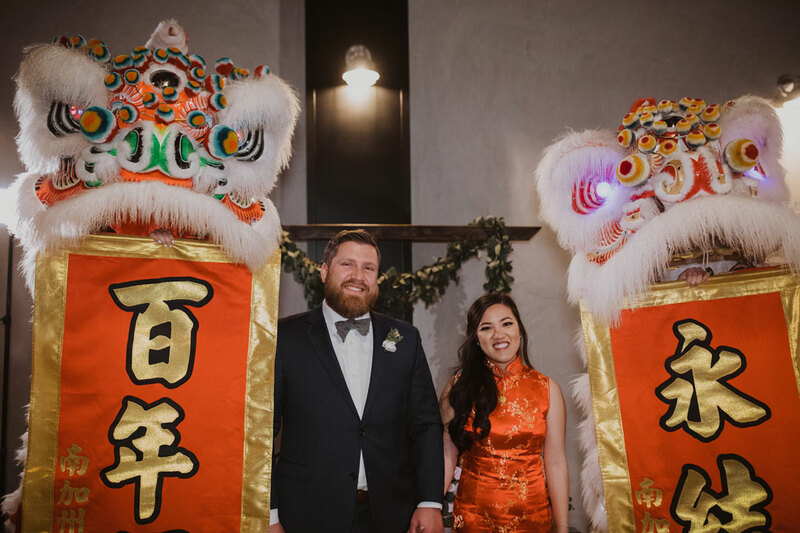 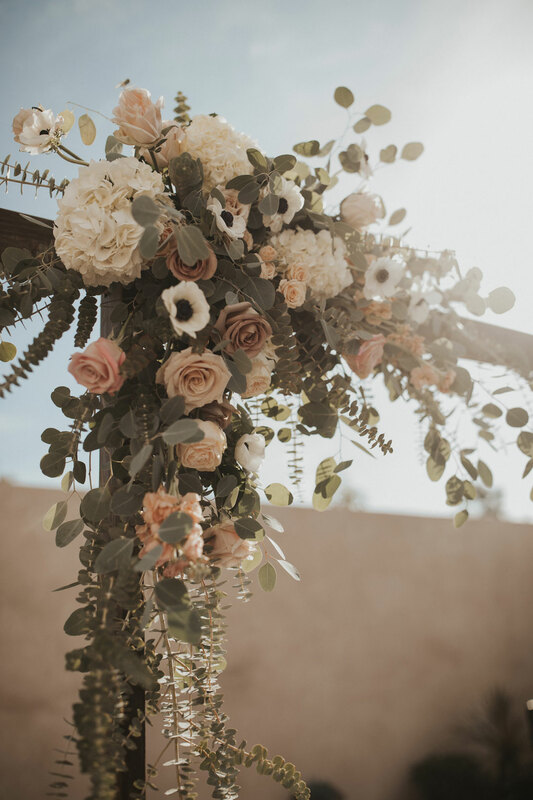 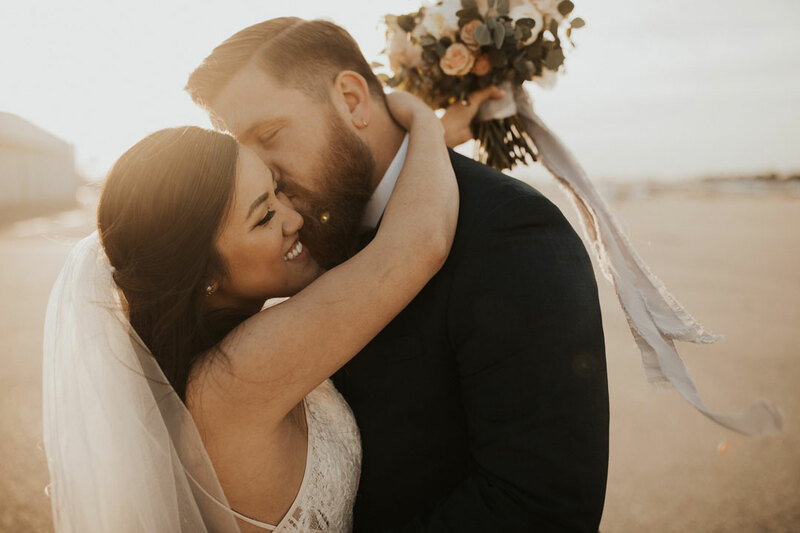 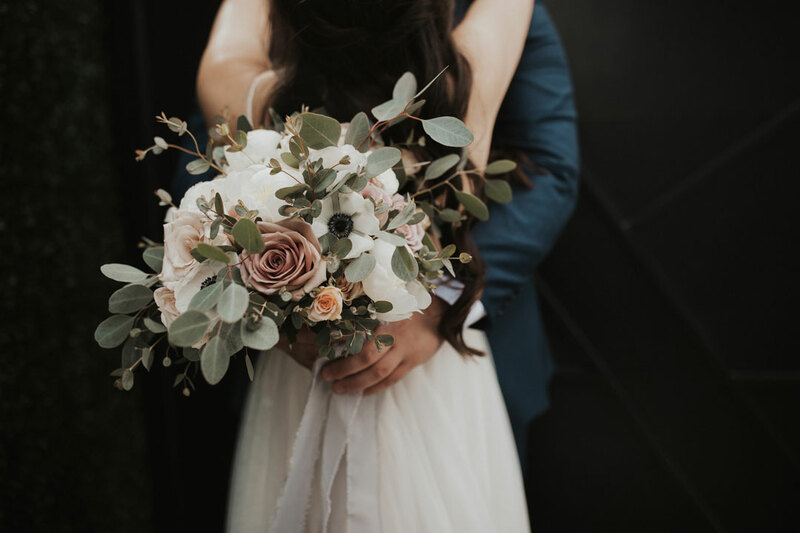 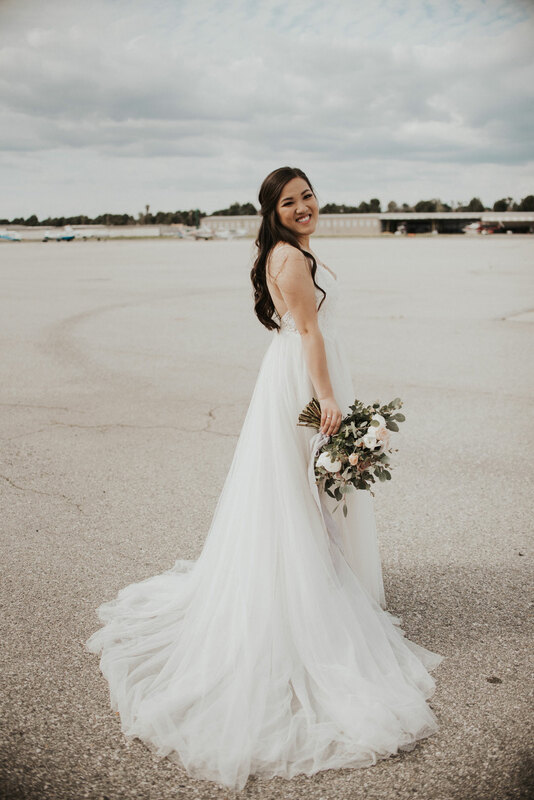 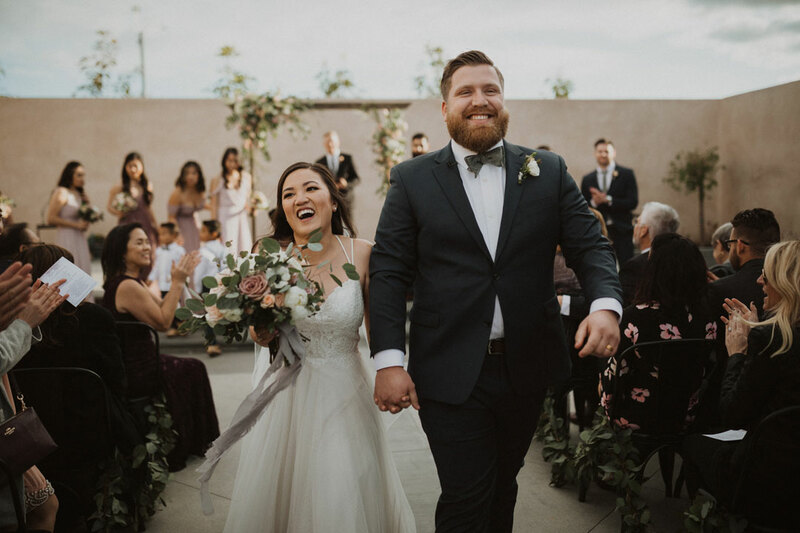 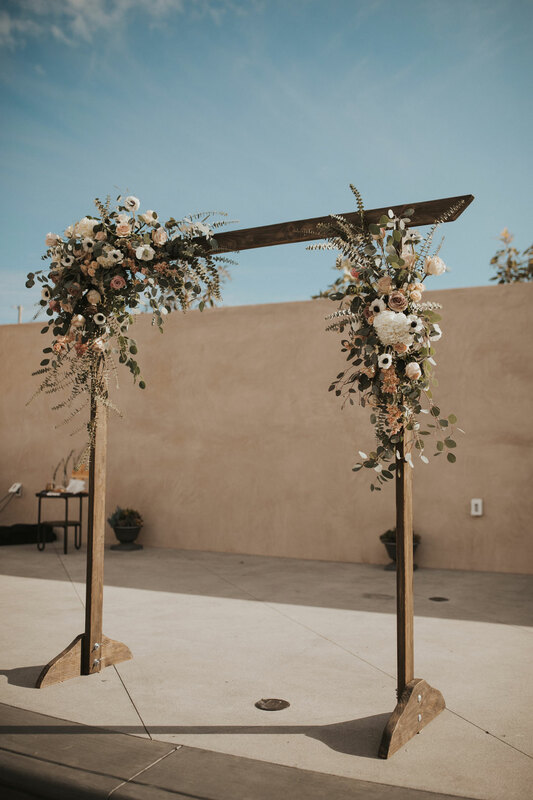 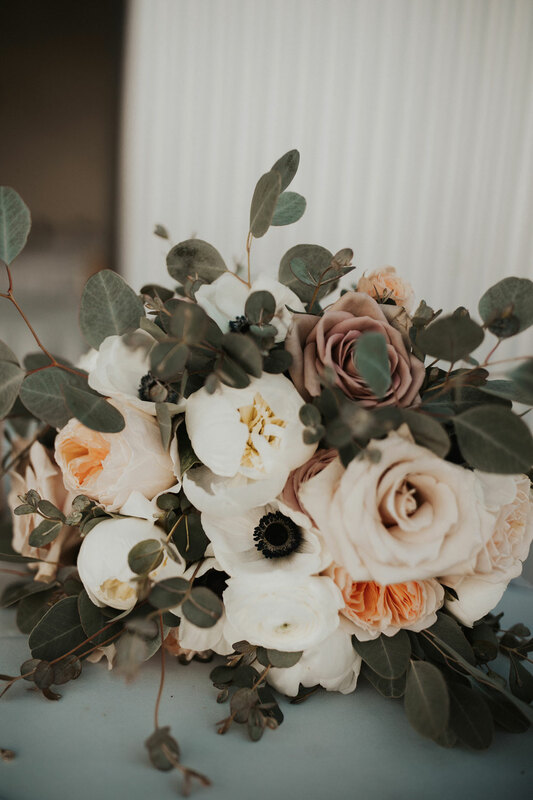 Natalie met Ryan at the head of the aisle to exchange vows underneath a beautiful wooden arch with muted floral details which made for a light romantic look. 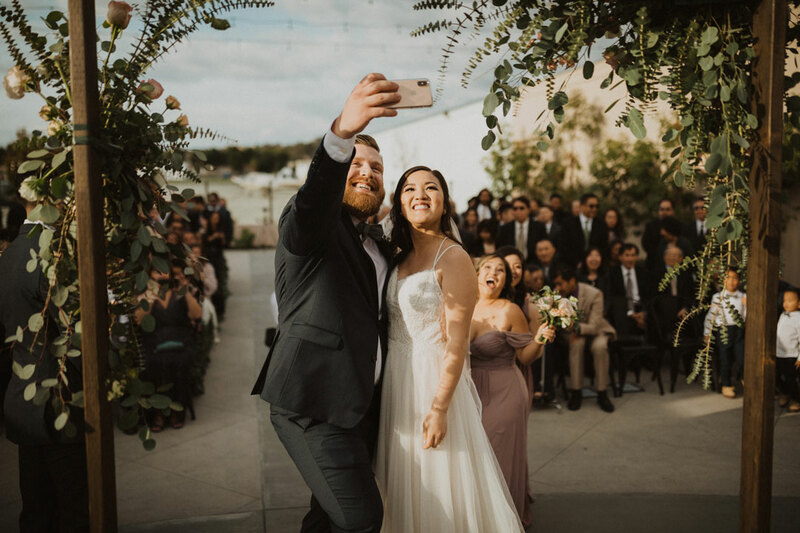 After saying I do, the couple captured the moment and the crowd by taking a memorable selfie. 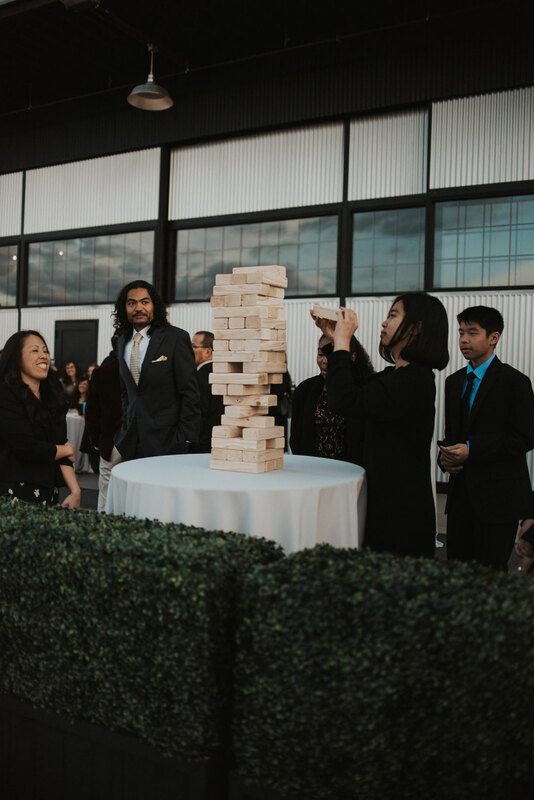 While guests snacked on our Bruschetta Bar and played life-sized Jenga, the newlyweds took flight over Orange County. 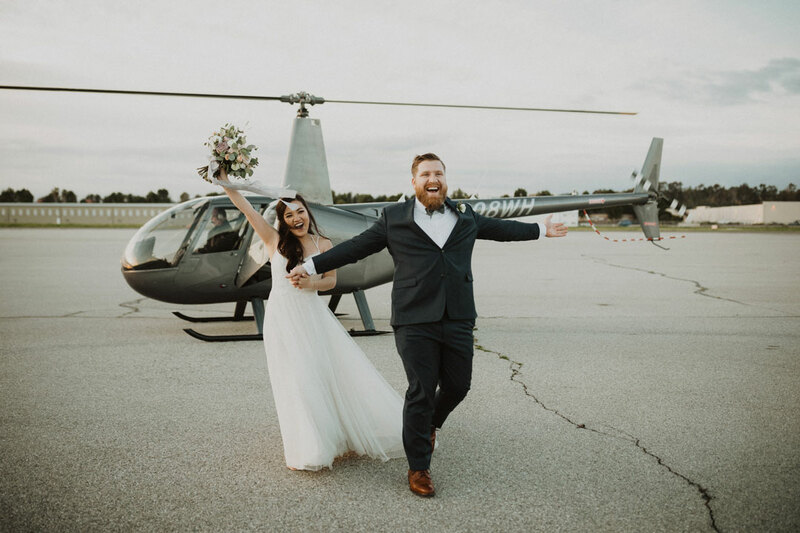 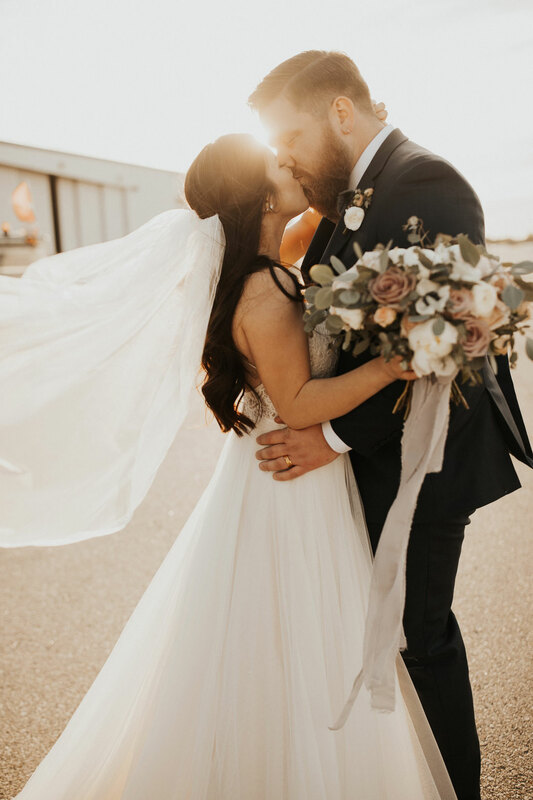 Once touching down, Natalie and Ryan took advantage of golden hour and snapped some more pictures before heading to dinner. 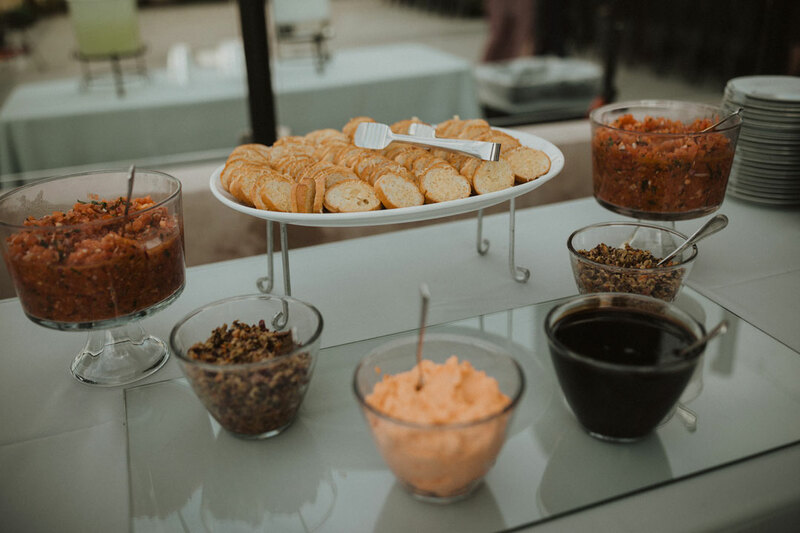 For dinner, Arugula, Pear & Asiago Salad with Chicken Florentine and choice of Tortellini with Creamy Pesto or Penne Alla Checca pastas were served. 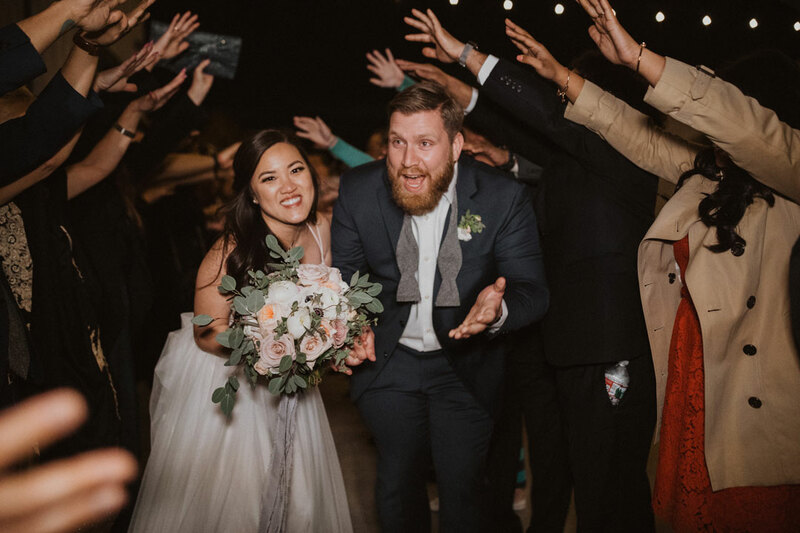 The rest of the evening was filled with toasts, cake and dancing the night away!